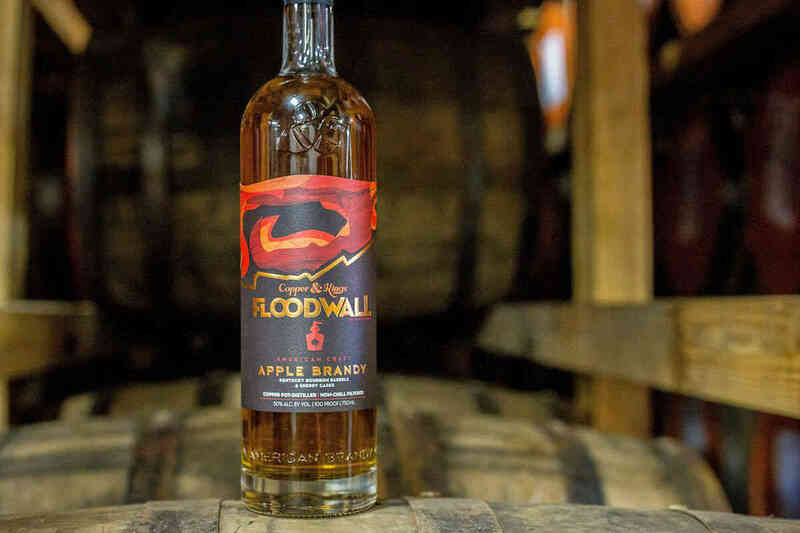 American apple brandy has enjoyed something of a revival in the last few years, and Floodwall American Craft Brandy is yet another indicator of its return to relevance. 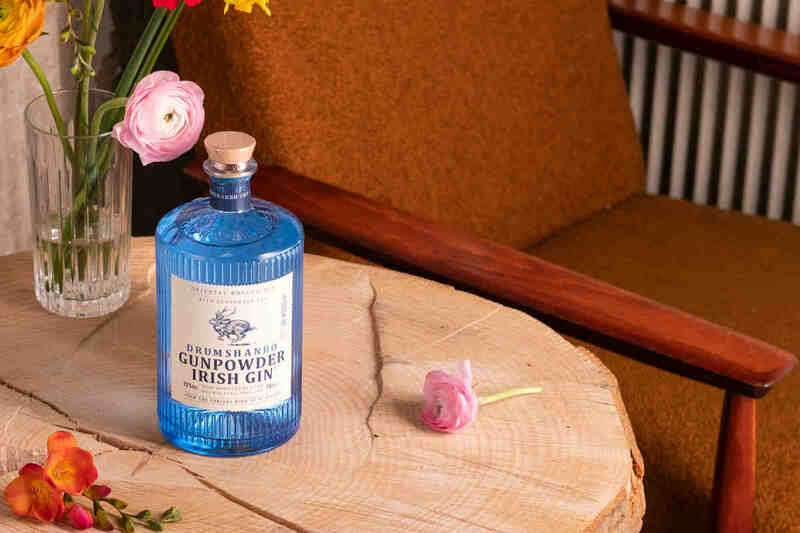 This spirit, from Louisville’s Copper & Kings Distillery, is named for the literal wall that protects Kentucky’s largest city from the Ohio River. 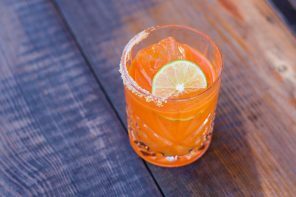 The juice itself has been distilled in copper pot stills, than aged a minimum of four years in Kentucky bourbon barrels and Oloroso sherry casks before being bottled at 100 proof. It is non-chill filtered, and also free of any added apple flavors or caramel color. It pours a deep bronze in the glass, and the nose is dominated by big, juicy, just-sliced apple. That note dominates, but you may also catch a few whiffs of ground black pepper, peaches, apricots, and even cured ham. It begins lush and wet on the tongue with powerful, apple-forward fruit flavors that are both floral and juicy, at times even tropical. Notes of cherry, kiwi, and coconut follow, darkened at the center to apricot and nutty raisin. That raisin note proves a catalyst for change: the fruity and floral flavors start to fade away, replaced by sharp, tannic oak that finally announces the sturdy 50% ABV. The back end is as dry and spicy as the front was lush and fruity, culminating in a tongue-crackling finish that incorporates black pepper and wood into its slow and deliberate crawl across the palate. Copper & King’s Floodwall Brandy is a much different animal than Laird’s Straight Apple Brandy. While they share the same proof, the pronounced floral notes and nutty raisin qualities of Floodwall make it distinct from the latter’s rich, baked apple pie quality. I found it to be a complex and worthwhile sipper neat, but was curious about how its unique character would translate in cocktails. Pretty well, as it turns out—at least in an Old-Fashioned made with a demerara sugar cube and two dashes each of Angostura and Peychaud’s. 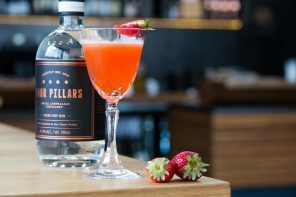 Its floral and nutty character shined right through, turning the simple cocktail into a far more layered and interesting drink.